I currently play piano for the Praise team at Faith, but my passion for music started much earlier. I grew up in a small town – Leipsic, Ohio and always loved singing and playing piano. Being the youngest child of four girls, I learned to sing any harmony and took piano lessons through the National Piano Guild, playing in classical groups in front of judges. I was involved in many singing groups over the years as well as a Christian band named “Escape” in Denver in the early 1980’s. I moved to California in 1987 and played in “Forte” and “Usual Suspects” in San Diego. My parents often had card parties while growing up and I learned to play old songs at my parents request. My father passed away in 2008, but my sisters and I used to visit him at the nursing home and play old hymns. 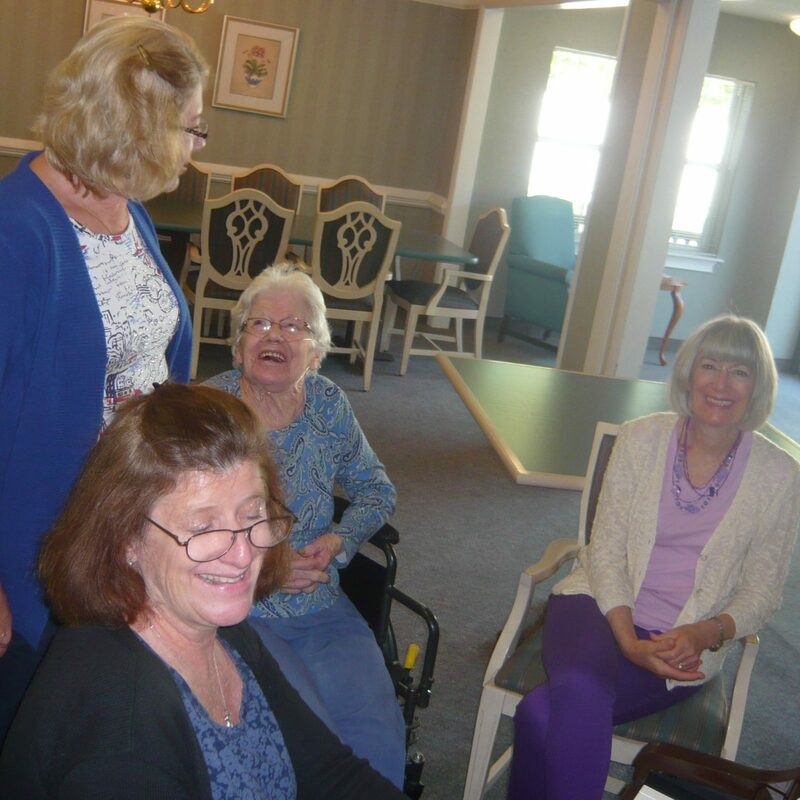 I was always amazed at the power of music to inspire and encourage people, especially in nursing homes. Since everyone knew the old hymns, those were always the first I played. My mission has grown out of that! My mother (Imogene Holland) who is 90 years old, lives in Gaffney, SC near my oldest sister (Nancy McIntosh), She was diagnosed with Alzheimers and now lives in an assisted living. While playing songs there, I noticed a man who came and listened but never spoke. This gave me the desire to reach people in assisted living or nursing homes with God’s music. I adopt everyone possible and try to sing once a month at a local assisted living or nursing home because I believe I can be His messenger. I have always been interested in older music and love working with older people. I see in each of them a long life of experiences and insights to learn. I think we should encourage people in assisted living and nursing homes to reach out to each other and continue sharing the saving message of Jesus. People there are those who need it most as they near the end of their lives. Anyone can join in my mission with singing. I love to get new places to sing, new people or other things that can enhance the ministry. I have created encouraging notes and would consider other activities in the program. I can go to places you suggest and directly minister to your loved one.